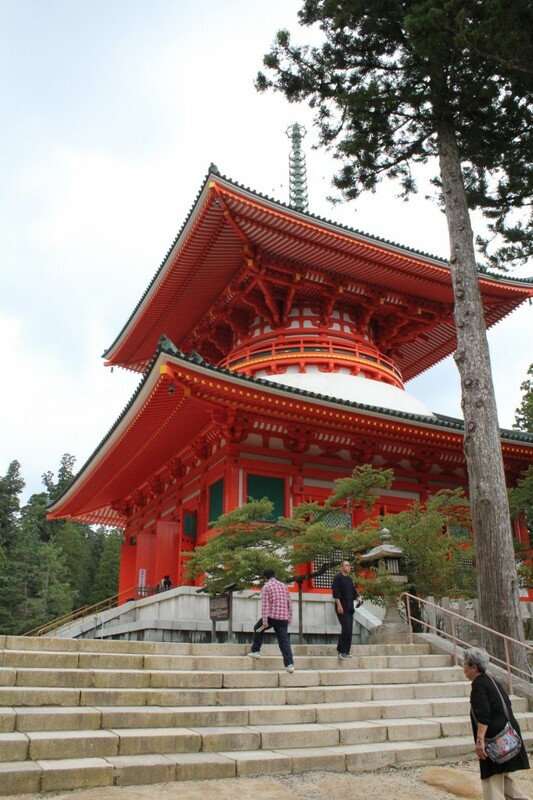 Located high in the mountains in Wakayama, Japan, lays Mount Koya, which is the center of Shingon Buddhism. Despite being isolated and a bit further out from any major city, Mount Koya is actually relatively easy to get to, however it will involve taking multiple modes of transportation unless you have your own car. All of the effort it takes to get to the small mountain village is worth it once you arrive. 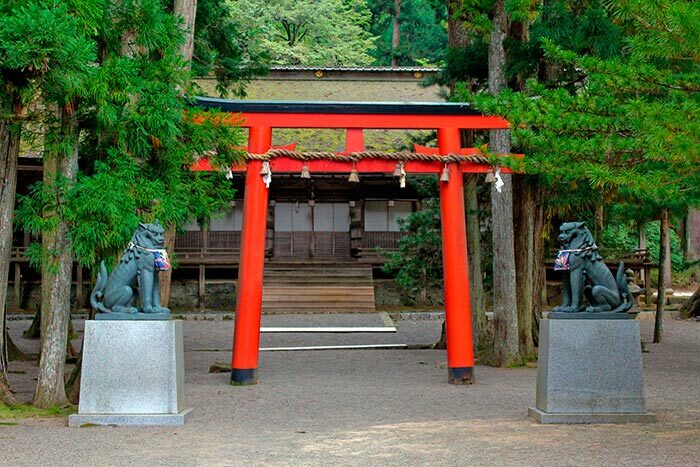 Mount Koya is filled with many historical sites including multiple temple complexes, museums, and interesting cemeteries. There are not many hotels in the area although there are a few guesthouses. The most common form of accommodation at Koya-san is to actually lodge at the temples and be taken care of by Buddhist Monks, which is quite the experience! You’ll get to participate in morning chanting, and eat vegetarian meals prepared by the monks themselves. When visiting Koya-san you must pay a visit to Konpon Daito (根本大塔), or “The Great Stupa”. Located at the Danjo Garan Temple, this ginormous stupa took over 70 years to complete and was finally finished in 887. 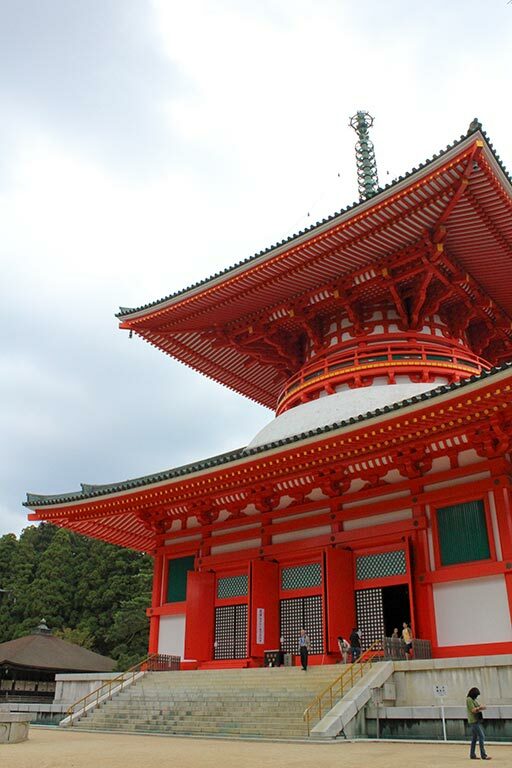 The father of Shingon Buddhism initiated this building himself, so it is considered an important building for anyone who practices this sect of Buddhism, and many people often make pilgrimages here. The Great Stupa itself is over 50 meters tall and has a beautiful design. The design is said to have been inspired by a lotus flower, as the eight points of the roof represent the petals of the flower. The Danjo Garan itself is located in the center of town and it’s easy to walk to from most locations around the area. As Koya-san is so remote, there are many places around town where you can hire a bicycle for the day, which makes sightseeing and visiting all the famous historic sites easy and convenient. This temple is beautiful to visit both during the day and then again at night. Traditional stone lanterns line the premises and they are lit up nightly, which adds to the traditional, historic experience.